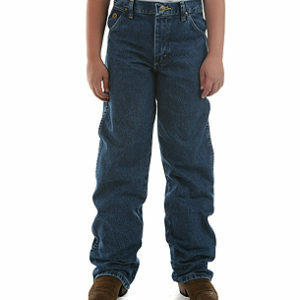 Wrangler’s popular Cowboy Cut jeans in relaxed fit sizes. Can’t beat that. 18 3/4 inch by 16 1/2 inch silhouette. 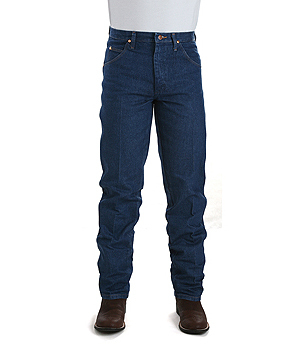 100% cotton, heavyweight denim. 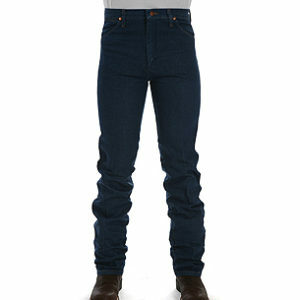 Available in prewashed indigo color in various sizes.